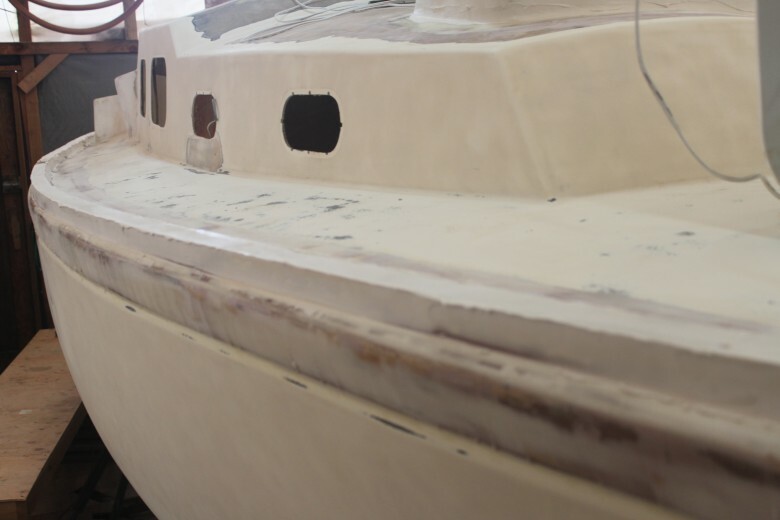 The past 12 months have focused on research and while it was helpful to iron out some major design changes, it translated to a lack of physical progress on the boat. This spring, I started to get restless and decided to take a new approach that favored construction over research. Instead of setting out to know and document every detail of every decision, knowledge gained thus far will be applied to decisions as they arise. 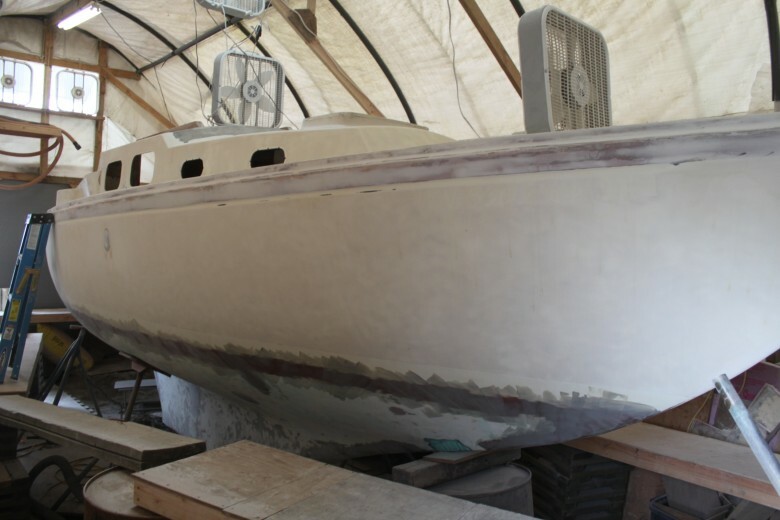 Another change of the approach was to hire my friend and fellow boat builder, Mark Williams, to help move the project forward faster. 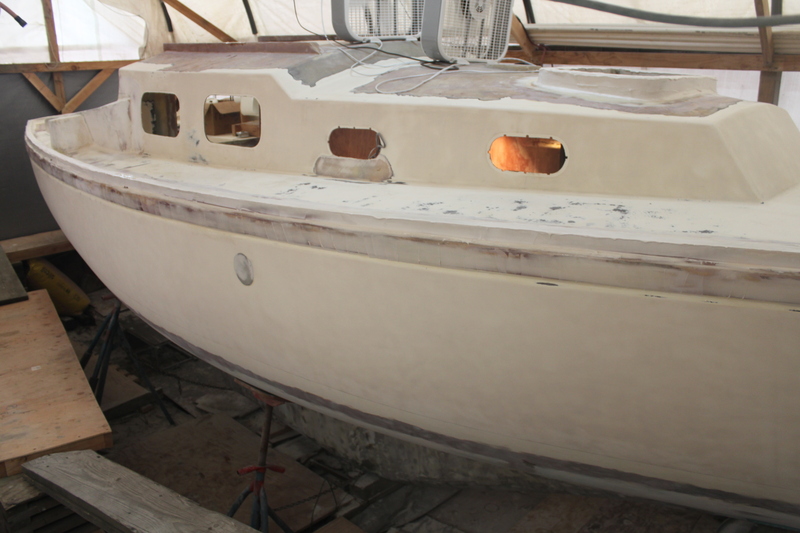 Mark completed a Cal 27 project in the same yard and recently put his boat in the water. You can learn more about his project at his boat’s page – Mark’s Cal 27. The exterior has been fully sanded. The bottom has been faired several times and is nearly ready for primer. The toe rail is seeing a lot of fairing, as is new construction in the cockpit. Here’s a slightly wider shot of the same area. Two demolition cuts are shown as patched. 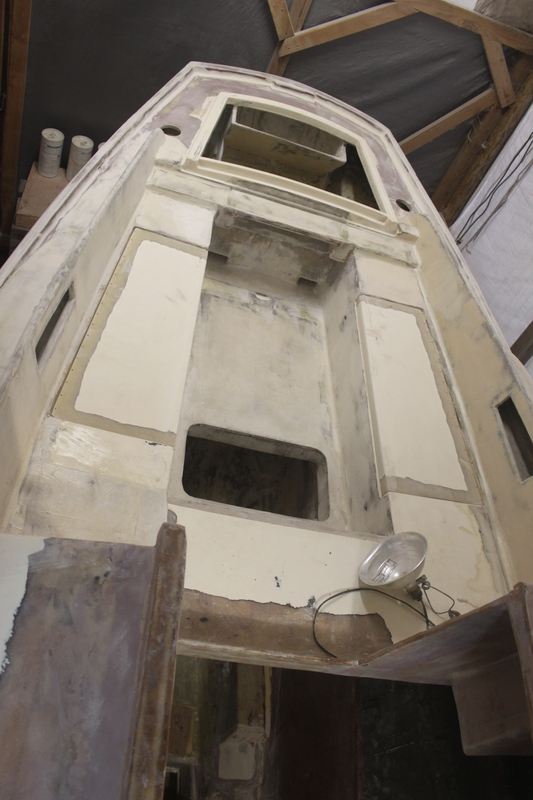 The cabin top paint is ground off for a seahood and risers for tabernacle mast step and dorades. Another angle of the deck looking aft. The new forward hatch flange for the Lewmar 54 Ocean hatch. This is made from ~3 layers of marine plywood and a few layers of biaxial fiberglass. 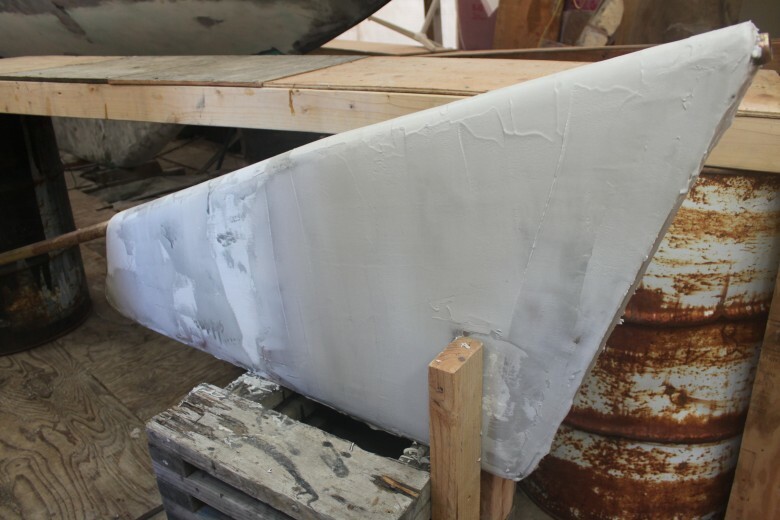 This image shows a layer of fairing that hasn’t been sanded down. Looking aft to the cockpit, a lot of fairing and sanding ahead. The cockpit coamings, deck locker lids, traveler, new cockpit sole (that drains aft) and cockpit sole access hatch are all visible. Detail of lazarette locker contents. In the center are two ‘drain channels’ that drain the cockpit out the transom. 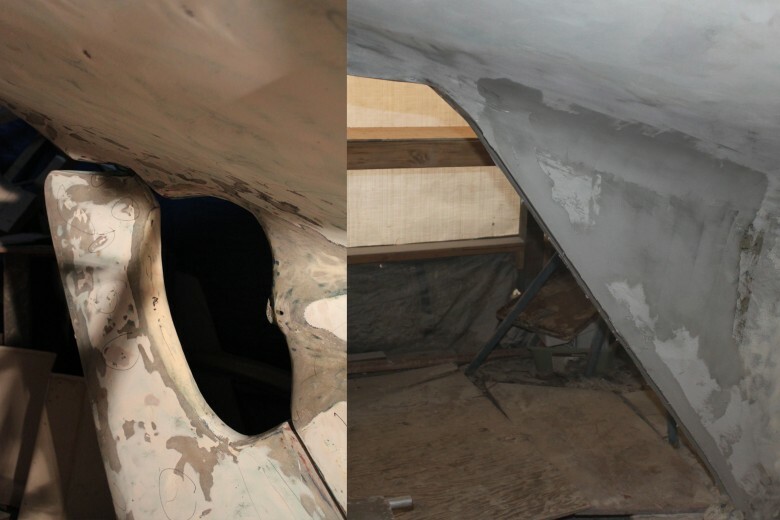 There are two epoxy flanges to which a lid will be secured, fully sealing off the channels from the interior of the boat. In the top of the image, the stern chain locker can be seen. In the bottom of the image, two PVC drains can be seen that drain into the drain channels. 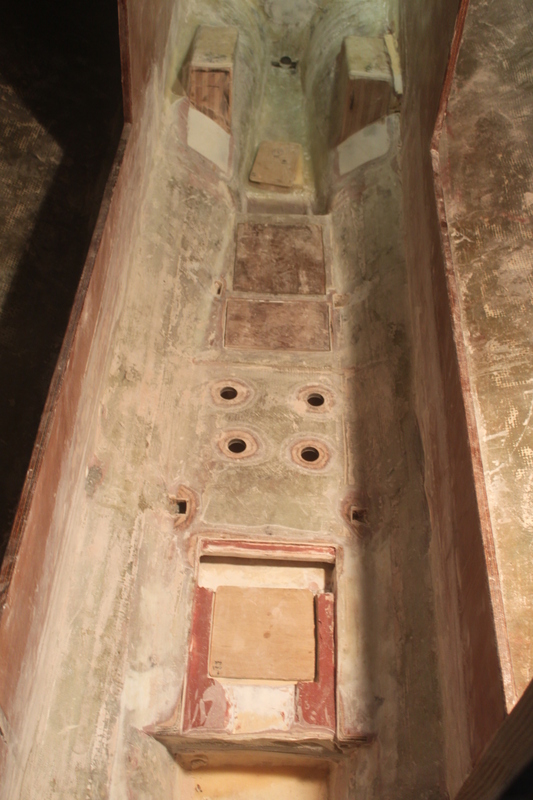 These are drains for the dorades that have been built into the lazarette locker. Cockpit drain (scupper) exits out the transom. 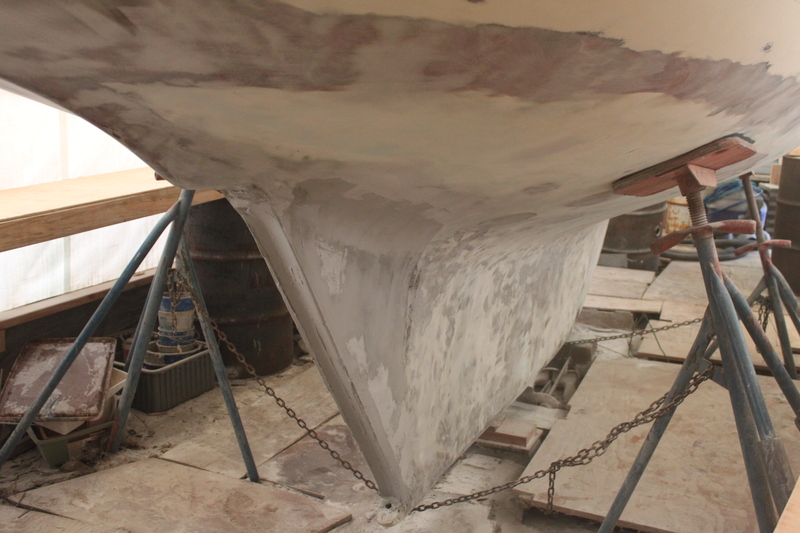 Below the waterline, the propeller aperture has been filled with H80 foam, then fiberglassed with 4 layers of ~17 oz. biaxial cloth. 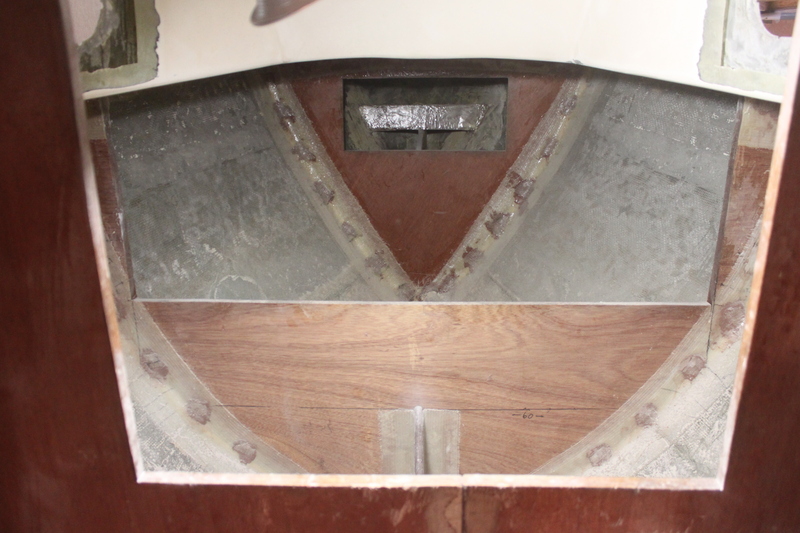 The rudder’s propeller aperture has also been enclosed. The rudder shaft is 3.8 cm (1.5″) diameter, solid bronze rod. And one last shot of the bottom, again showing the aperture filled and rudder channel built into the trailing edge of the keel. 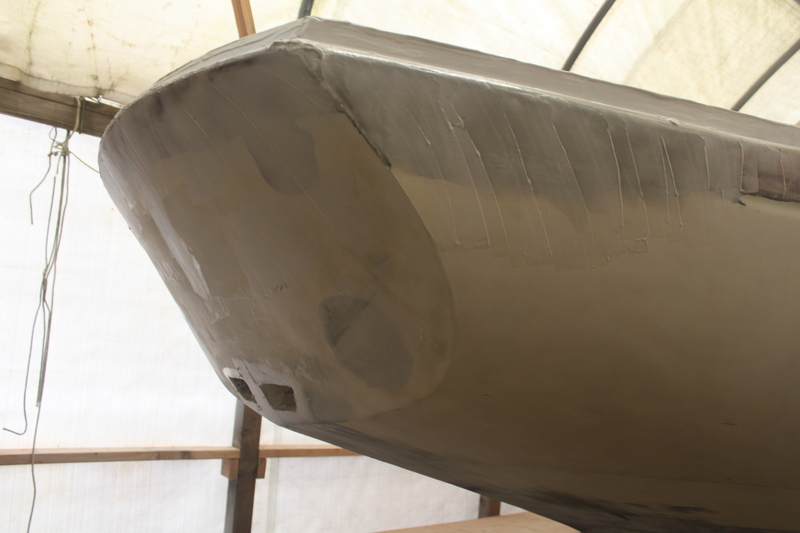 The waterline had a lot of pitting, so it was sanded down to fiberglass, and multiple layers of fairing have been applied. The saloon as it looks today. Since I decided against a heater, I could remove the ‘heater area’ to free up more room for the head. 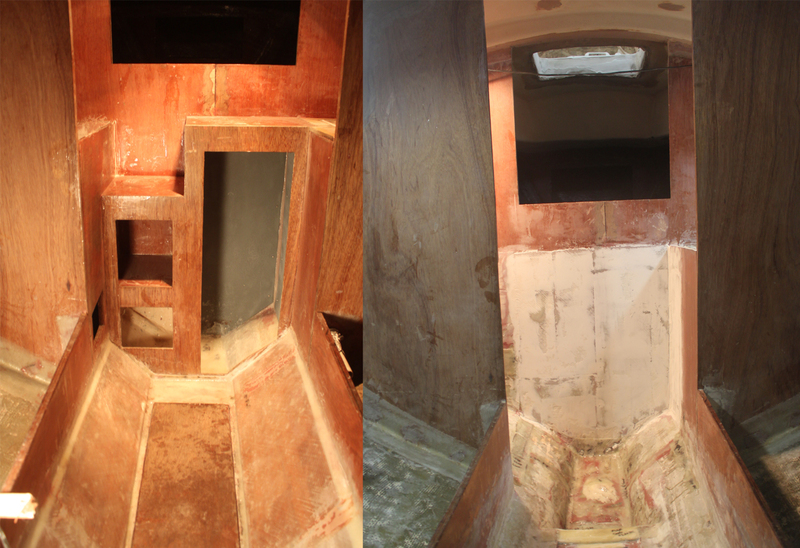 The image on the left shows the heater compartment all built. 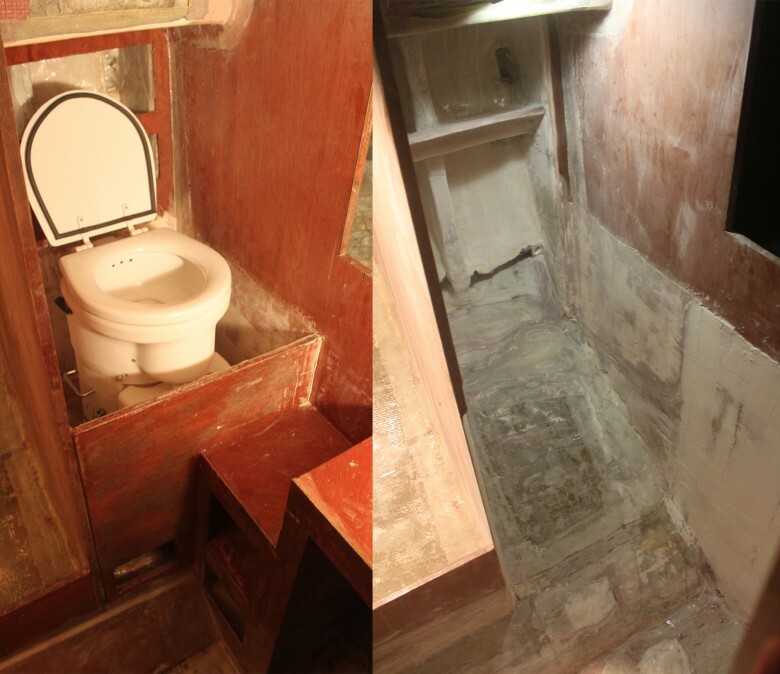 The image on the right shows the demolition in preparation for a new head area configuration. The old head area is on the left and it was never too comfortable. The image on the right shows the area opened up, a sole will be installed that allows the head to sit lower in the boat and more amidship. This area will all drain into the sump, then bilge. The icebox has been demolished and will be replaced with a hanging locker and a portable, 12v icebox. 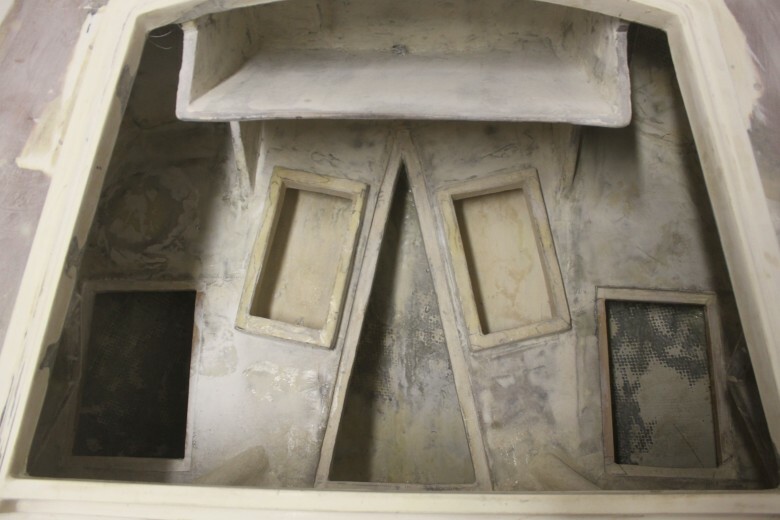 The image on the left shows the old icebox; on the right shows the area demolished and ready for it’s new hanging locker design. This image shows the v-berth and forward chain locker. 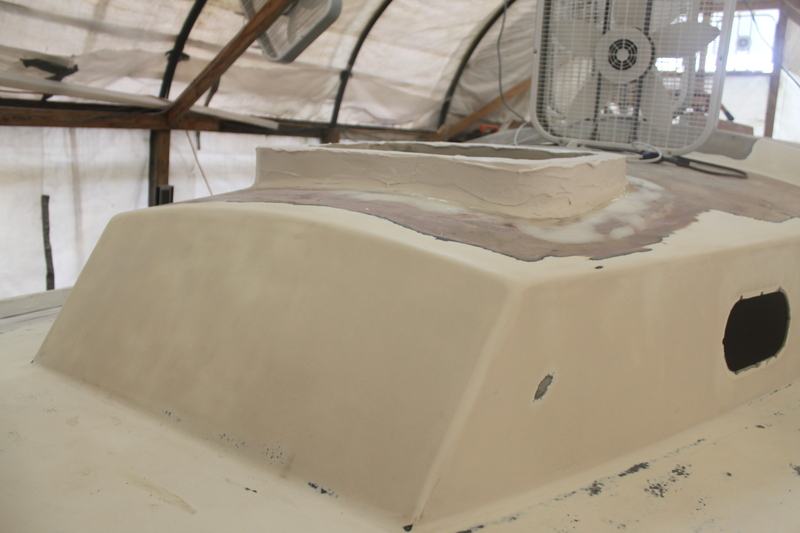 This area is compartmentalized from the rest of the boat and can be sealed off via PVC drains in the sump tank. The cabin sole has been partly demolished, as I decided to change the settee locker drainage to open up more standing room. The small storage area I built between the bilge tank and sole has been filled with foam, because it wasn’t accessible enough. 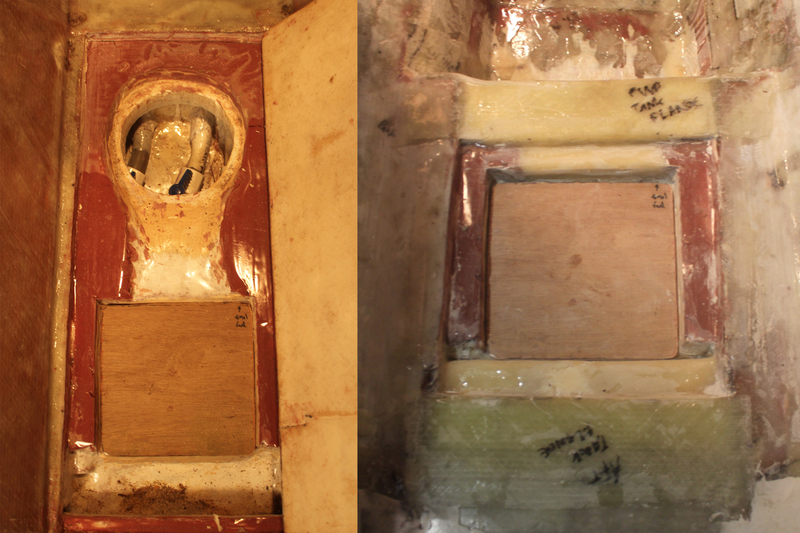 The image on the left shows the access hatches to the old sump tank and bilge tank. 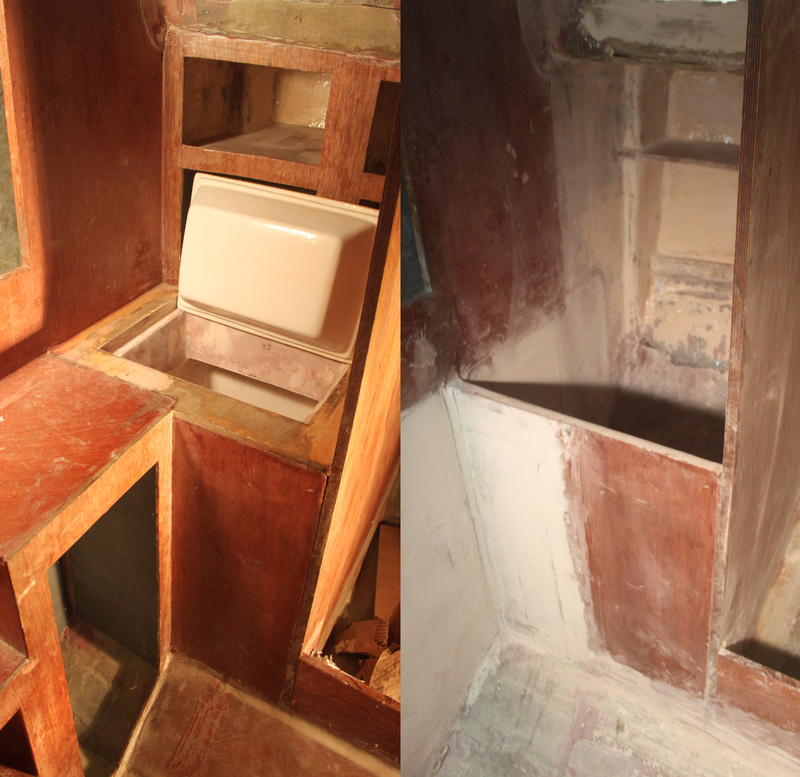 Image on the right shows the sump tank demolished, and the access hatch to the bilge tank being installed. 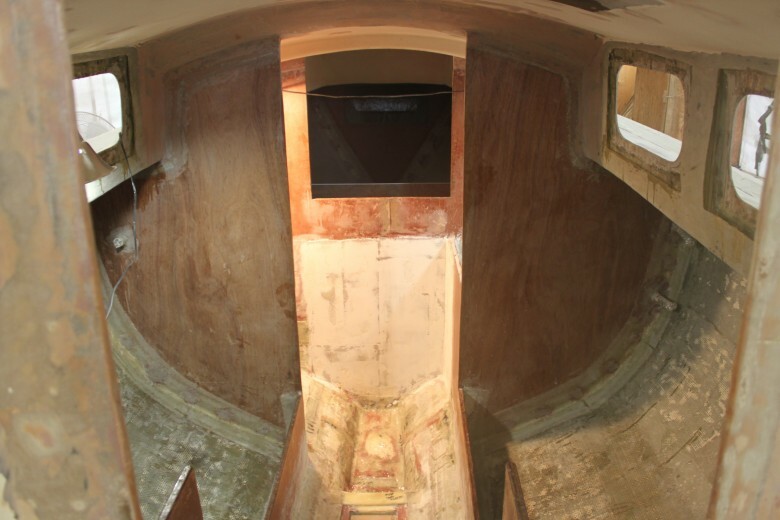 This image shows the forward face of the bilge tank. 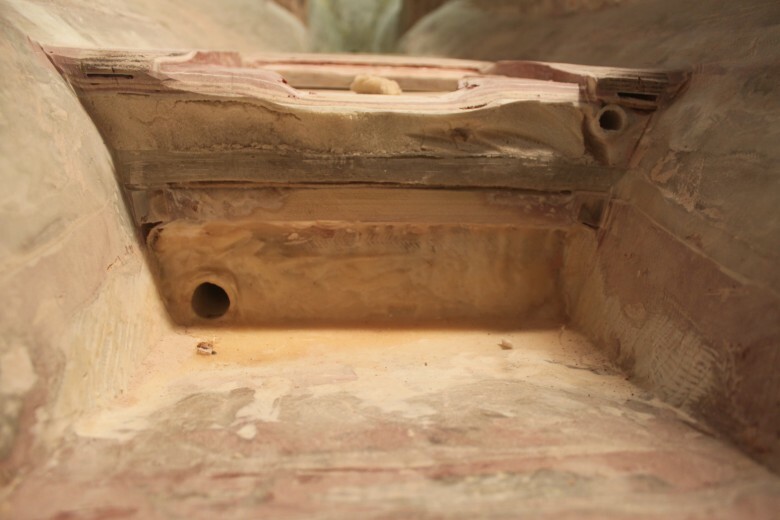 In the left, a PVC drain is installed that passes through the bilge tank, in order to drain the forward ‘sump’ area. Now that no engine will be used, the previously installed engine mounts have been cut back and this area will be converted into battery storage. 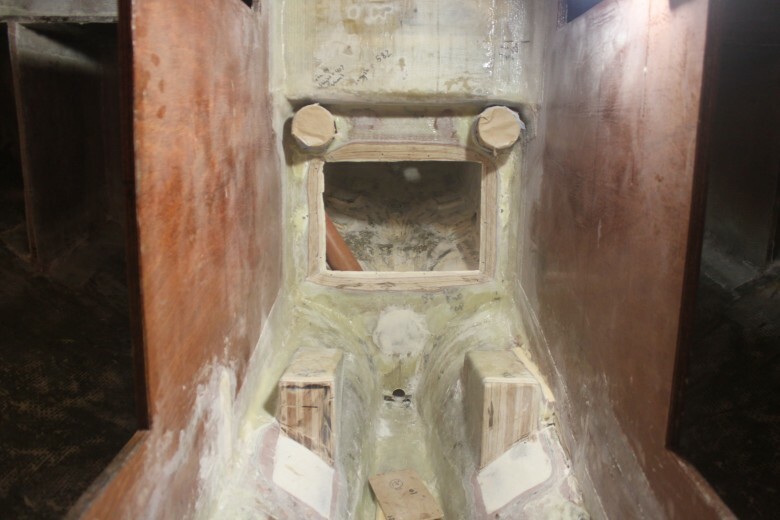 The cockpit bulkhead will be scarfed closed, creating the below cockpit locker as a water-tight compartment. Thanks for starting to annotate your photos. It’s a whole lot easier to understand what you’re doing. Glad to see you back at it. Way to go. I’m amazed how far you have gotten since I last saw it. Hope to see you soon. Love you! I’ve been following yer exploits since we parted ways at the UofO, yet this is the first time I’ve left a comment. Love your sense of adventure and dedication to this project. Look forward to the day when you launch this bad boy back into the blue waters!! Can’t wait to see this completed, looking forward to sailing with you. I know it’s hard work, although well worth it! I plan on coming to see the boat soon.